This premier event is aimed at investors, multinational CEO’s, business owners, tax lawyers, insurance professionals and financial experts. 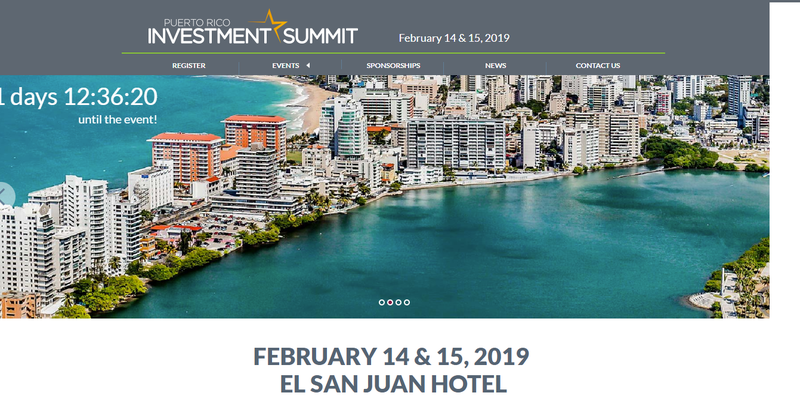 In two days, you will learn about the unique opportunities, incentives and competitive advantages that Puerto Rico has to offer as a business and investment destination, and network with top government officials, business people and entrepreneurs. Puerto Rico offers the best advantages for investors interested in Opportunity Zones and Gilti tax. Every topic will be covered here by expert law and CPA firms, and your will hear from the people that have already made the move.